When most people think of negligent security, they may think of premises liability issues, where individuals become victims of criminal activity as the result of a violent, dangerous act. 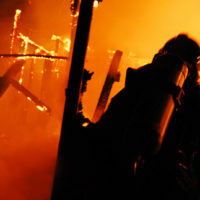 However, the concept of negligent security—and any and all claims that can be brought as a result—can cover a wide array of issues, such as when architects, contractors, and building owners fail to, for example, install an effective automatic sprinkler systems in a building, leading to the endangerment, injury, and sometimes death of those who live in and/or visit that property and any adjoining properties affected by a subsequent fire that results. In one recent case, a fire spread from one building to the adjoining property allegedly due to the design, engineering, and installation of the sprinkler system in that original building, resulting in significant damage in the adjoining property. Thus far, the insurance company involved has paid out more than $5,000,000 in insurance claims as a result of the fire. That insurance company (representing the redevelopment authority) and a tenant of and the adjoining building are now bringing a lawsuit claiming negligence and breach of contract by the architects and contractors with regard to the design and installation of the sprinkler system in the building that originally caught fire. When it comes to adequate security measures, building owners and those involved in the design and structure of the building have a duty to provide adequate security measures as tenants and others in those building and adjacent properties are not in a position to provide those security measures and ensure that they are adequate themselves. The lawsuit targets Weber Murphy Fox Inc (the architectural, engineering and project management company), Karpinski Engineering Inc., and Rabe Environmental Systems Inc. for their role in the design, engineering, and installation of the sprinkler system, as well as the general contractor who oversaw the renovation for the building and the owner, and alleges that the sprinkler system, fire walls, and fire stops did not comply with state, national, and international building codes, as well as state law and National Fire Protection Association standards and, as a result, the fire started and spread from the original building to adjacent properties. The suit also claims that the building owner negligently allowed several juveniles to access the property without adult supervision, as well as others, which caused or contributed to the cause of the fire that spread to the adjacent property. At Friedland & Associates, we work to protect our clients in Fort Lauderdale and surrounding areas when they have suffered due to negligent security. We litigate cases against companies who negligently invite people into their stores, hospitals and other properties, but fail to protect them on those and adjacent properties. If you’ve been the victim of negligence, contact one of our attorneys today. We are here to help.